I think no one should miss the free trial only paying $4.95. 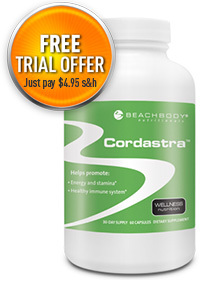 Believe me Cordastra will definitely work since it has a strong and effective ingredients named cordyceps. Please don't miss.